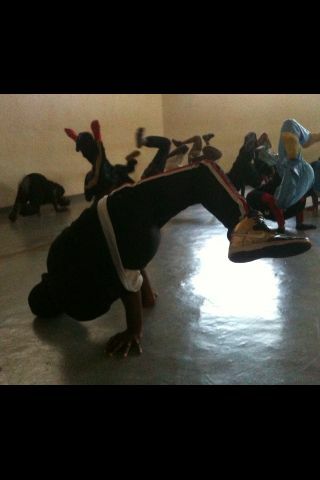 Another fantastic breakdance workshop with the former street children at Les Enfants de Dieu. 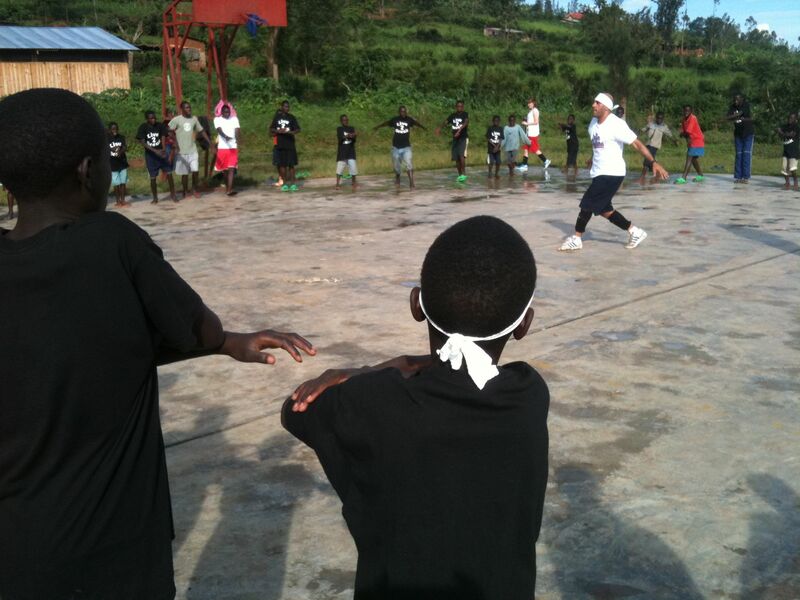 Once again, we worked with the full group of 126 out on the basketball court. So much fun and laughter, Pervez shouting “Left. Right. Through!” in broken Kinyarwandan (to the kids’ intense amusement). He is amazing with the children and they adore him. As well as teaching the children at Les Enfants de Dieu, Pervez is also teaching a group of 15 young people at Ishyo Arts Centre. This is a group of youngsters from poor backgrounds, self-taught break dancers, selected through an open audition process. They’re so fast at picking it up. The aim is both to contribute to their own dance practice, but also to train some potential teachers who can continue our work with the children when we’re not there. Nicola Triscott is a cultural producer, curator, writer and researcher. She is the founder and Artistic Director/CEO of Arts Catalyst. Specialisation: interrelationships between art, science, technology and society. If you'd like your money to go direct to the former street children of Les Enfants de Dieu, drop an email to catalystrwanda@gmail.com and we will give your money straight to the centre (where the boys themselves decide how it is spent - whether on education, food, shoes, or other things). Thanks!